Burberry Lightweight Check Wool Silk Scarf. Wool and Silk Blend. - We'll do everything possible to solve any problem -. Very Good Condition. ABOUT PRODUCT. Made in Scotland. (IS STONE COLOUR ). The scarf has never been worn and is in mint condition.BNWT. Received it as a present. Dry Clean Only ! As the UK's number one heart charity, the cutting edge research we fund has already made a big difference to people's lives. Light general worncondition. Support the British Heart Foundation's life saving research. Burberry Scarf 100% Cashmere new Size 27x70"
Authentic Burberry Sunglasses With Case Black Plastic Logo. Great pair of Burberry sunglasses! I cannot be held responsible for color variations. Burberry Scarf. Good condition only has spot showed on fourth photo. BURBERRY ’s chic N ova-Check lined, Black Cotton-canvas ‘Trilby’ hat. • lined in iconic Burberry Nova Check. See photos. • Burberry-stamped leather trim band. Burberry wraps the giant coat of the original beige scarf. 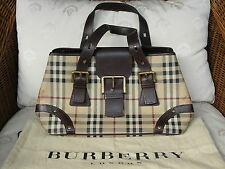 Burberry Schal Neu. Size：168cm x 30cm. 100% Authentic item ! Navy blue leather and blue Burberry check fabric purse. Silver tone hardware. 8 card slots. 2 sections for notes. There is also a coin section to one side. 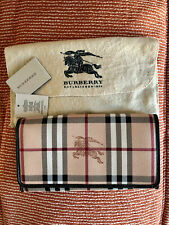 Almost like Burberry scarf please look at all pictures posted quality is AAA Shipped with USPS First Class Package. Size : 180cm x 70cm or 70.8in x 27.5in. Burberry London. Closure: standard belt size. Condition: item is in 'excellent condition' with no sign of wear. Length 79.5cm. Burberry Heart & Check Silk Scarf. Two Iconic Burberry Patterns with its Reversible Design. Lovely fresh soft vibrant silk which appears in good condition. As the UK's number one heart charity, the cutting edge research we fund has already made a big difference to people's lives. Inner lining is cleanand tidy. Support the British Heart Foundation's life saving research. Burberry Cashmere Scarf Color Dark Beige New With Tags Size 70 x 180cm. Small Genuine BURBERRY London Check Scarf. Dry clean only. VERY GOOD CONDITION (View pictures). Size: 23" x 23" , New with Tags. Made in Scotland. Size: 180x70cm. BURBERRY MADE IN ITALY C CE (right side). - Burberry hard case. - 2 Burberry booklets. - 1 Burberry cleaning cloth. - References on sunglasses - B 3068 1178/75 54 18 140 2N (left side). - Purple tint. Size: 21" x 21" , New with Tags. Burberry Nova Check Tan Brown Black Leather Checkered Belt size 40 . Condition is Pre-owned. Shipped with USPS Priority Mail. MADE IN ITALY. SIZE 190X70CM. We can't be held responsible if item does not fit. NEW WITH TAGS AND DUST BAG (NO BOX!!!! )BURBERRY LADIES CONTINENTAL WALLET FROM CURRENT COLLECTION. MADE IN ITALY. 100% AUTHENTICITY GUARANTEED. LUXURY QUALITY TAN BROWN COLOR 100% LEATHER COMBINED WITH HOUSE CHECK SIGNATURE PRINT CANVAS. LOGO EMBOSSED AT THE FRONT, SNAP CLOSURE FLAP, INSIDE TAN BROWN COLOR 100% LEATHER LINING BURBERRY MADE IN ITALY STAMPED. 14 CREDIT CARD SOTS, ONE ZIPPED COIN PURSE, 3 SEPARATE CASH COMPARTMENTS. SIZE 7.5" X 4".